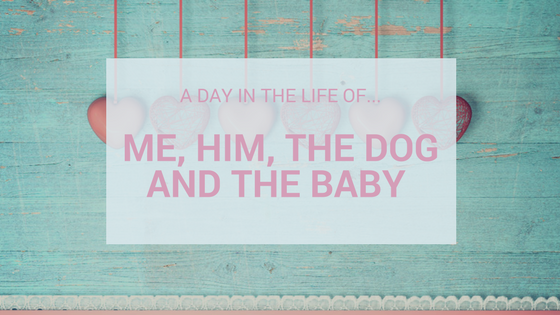 Today we have Lyndsey from Me, Him, The Dog and The Baby, Lyndsey lives with her husband John, and their daughter Erin. 06:50 – Erin has already been away for at least an hour, maybe longer but my husband John gets up with her in the morning. He tends to leave for work at 7am so he shouts me just before that to get me out of bed. We have a really good routine going with mornings and it works for us. John gets to have some alone time with Erin while I get some sleep. Perfect! 07:00 – Erin loves to have a cuddle with me when I get up. She runs over to me straight away and we watch some cartoons. I have no problem with letting Erin watch cartoons for a little while each day. She absolutely manic for the rest of the day normally so it’s nice to have some down time with her. 08:00 – Erin has already had breakfast by this time but I can’t eat as soon as I get up. I think it comes from years of smoking (I don’t now) and never wanting to eat breakfast. Whatever I have, Erin always wants to share so I have to make a little extra most days. 08:30 – Even if we are not really doing anything for the day, I make sure we both go and get dressed. 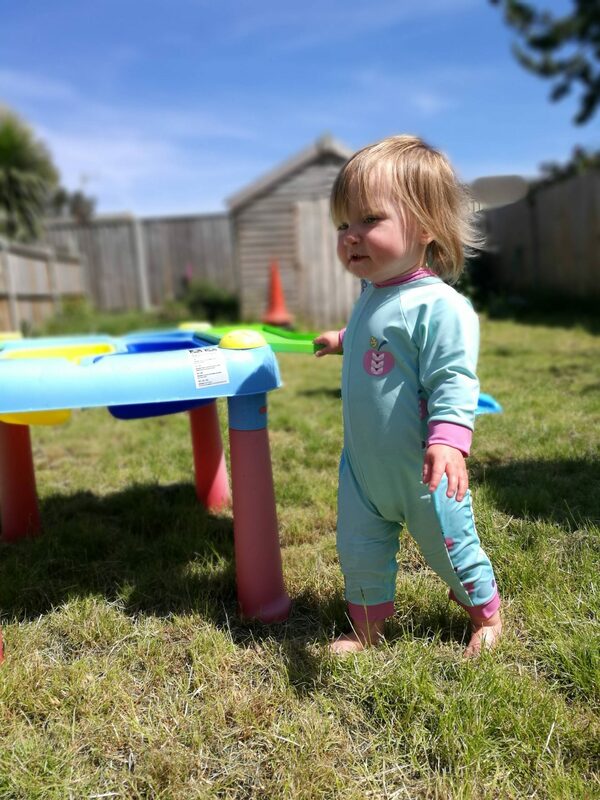 I do miss the days of lounging around in my pyjamas a lot when Erin was smaller but soon she’ll be going to nursery so I want to teach her that getting dressed is the norm. PJs are not! 09:00 – We live round the corner from a supermarket so we never do a weekly shop. As I work from home and home with Erin all day, we generally go shopping every day. I know that might sound a bit crazy to most people but this way we don’t really have any food waste. I go and buy whatever we’re having for dinner that evening and anything else we need. Erin generally tends to go round the whole shop either howling life a wolf of shouting at anyone we come across! 10:00 – When we get home it’s time for some food for Erin. As she gets up really early her meal times are a bit messed up so this is when she has a sort of lunch. We always do something nice and easy like a sandwich, crackers or hot cross bun because I know she’ll eat it! 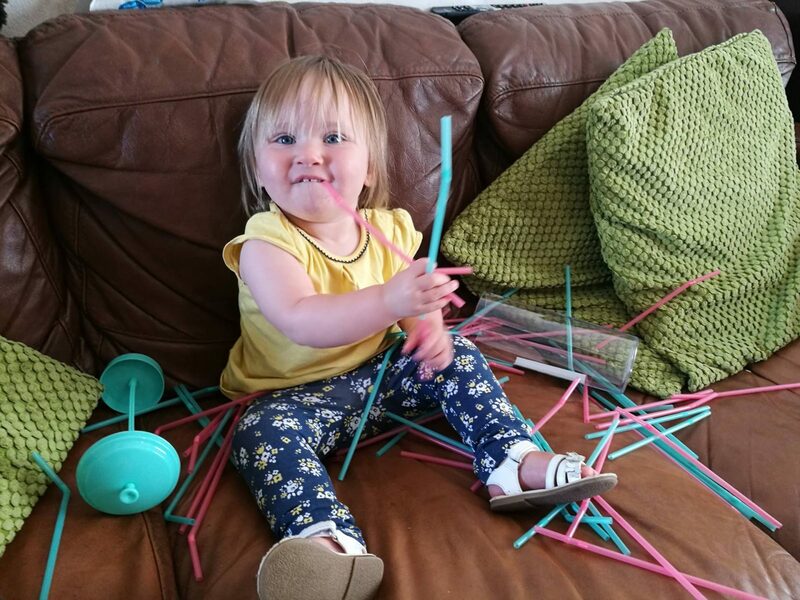 10:30 – Play time! Although Erin will play on and off on her own for most of the day I always try to play with her. She doesn’t want me to a lot of the time though. Erin is really into colouring at the moment so we sit up to the table and have some fun. 11:00 – Erin is about ready for a nap by this time so we head off upstairs into my bedroom and Erin has some milk. We have just moved her into a toddler bed and she’s struggling to get to sleep on her own in there so I have to move her from my room most days once she’s already asleep. 11:30 – Erin has always liked to sleep! She has such long naps most of the time but that’s because she doesn’t rest very much! Once Erin is asleep I get myself some lunch and try to do a bit of work. I usually spend this time replying to emails and being on Twitter or Instagram. I might also try to take some photos for any blog posts I’m writing while I can do it in peace and while the light in my office is good! 13:30 – Probably after 2 hours Erin will wake up but it’s never much before this. She’s very much like me after a nap and needs some time to wake up properly! We try to watch a couple of episodes of Paw Patrol, which is her favourite, and I enjoy the cuddles! 14:00 – I don’t like staying inside the house if it is a day we’re spending at home. We’re lucky to have a lovely sized garden so we head out there to play. Erin loves our pet rabbits Flopsy and Mospy so she’ll spend some time trying to feed them grass and the occasional stone. We also have a slide, swing, water table and footballs in the garden so we do lots of different things. Erin has recently been trying to help me do some weeding which really means just pulling anything out she can get her hands on but I love that she tries. 16:00 – We come back inside to get a drink and to play something else! We have quite a few toys in our living room that I switch round on a weekly basis so we either play with blocks, read a couple of books or do some shape sorting. I try to make sure Erin has a varied range of things to do so she doesn’t get bored. 16:30-17:00 – On a good day this is when John gets home from work. Some days it’s not until 6pm though depending on what he’s doing. As soon as he gets home he takes over playing with Erin. They’re always so happy to see each other and our house gets a lost noisier at this time. I then get on with cooking dinner so we can attempt to eat together before bedtime starts. 18:00 – Erin has a bath on most days and she LOVES it! John does the bedtime routine in our house so him and Erin have a half an hour bath together, making up silly songs, splashing and having fun. As soon as they’re done Erin is normally rubbing her eyes and is ready for bed. We have kisses and a cuddle and then off she goes with John. 19:00 – I get about an hour of peace here. John puts Erin to bed and has a bit of a nap himself most evenings. He gets up between 4:30 and 5am so he’s shattered. I spend this time tidying the living room and beginning my work for the evening. 20:30 – I’ll still be working at this point and hopefully catching up on some TV that I’ve recorded on Sky. I tend to watch a lot more than John because he’s not here as much as I am. Once John comes downstairs from his nap he will have a cup of tea before sorting out the rabbits and doing the dishes. 21:30 – At this point in the evening John is about ready for bed again. He might do a bit of ironing if there is any. As I work during the evening, he tends to do a lot of the day to day bits and pieces while I do the bigger cleaning jobs during the week. 22:30 – John will probably have gone to bed by this time of night so I tend to get a relaxing bath for half an hour or so! 23:00 – Back to work for me for about another hour. I know this seems really late but I’ve always been a night owl. John and I are the complete opposite when it comes to this which is why he goes to bed earlier than I do. I don’t mind though because I get to watch whatever I want on TV and I also work better when no-one is talking to me. Midnight – I try to make sure I go to bed around this time but sometimes it’s a little later. John has given up trying to get me to go to bed earlier now I think. It’s only taken him 5 years!